The first trailer for Nickelodeon's new 'Hey Arnold!' has been released. The highly-anticipated comeback, called 'Hey Arnold! The Jungle Movie', pick up the story one year after the series finale ‘The Journal’. Fans might remember than Arnold found a map in his dad’s old journal that lead him to his parents in the fictional country of San Lorenzo. In the movie, Arnold and the gang travel to Central America in the search for answers. 'Hey Arnold! The Jungle Movie' will see most of the old-cast reprise their roles, including the voices for Helga, Harold, Grandpa and Grandma. However the voice of Arnold will be played by someone else, as Lane Toran, the ‘original Arnold’, has outgrown the voice. “We’re incredibly fortunate to work with these talented voice actors who brought to life one of the most celebrated cartoons in Nickelodeon’s history," said Chris Viscardi, senior vice president of content development for Nickelodeon Franchise Properties. 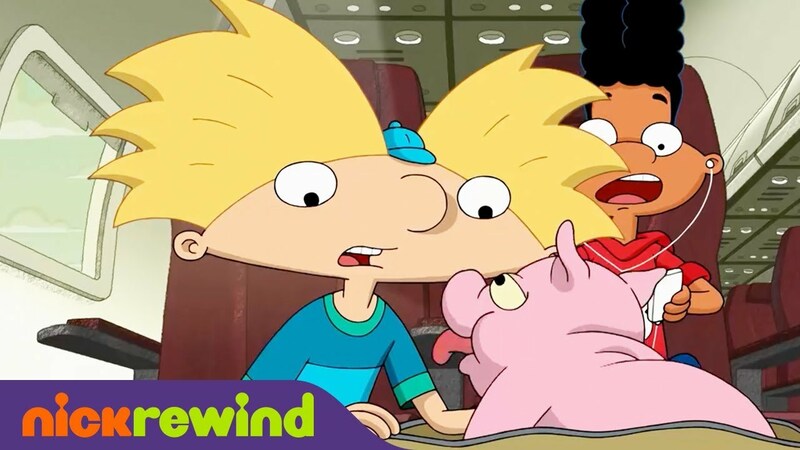 "The voice cast is an essential piece to the 'Hey Arnold!' universe and we’re excited for a new generation of fans to hear these characters in a new TV movie." The film will premiere on 24th November 2017 on Nickelodeon in the U.S.